This Songkran!! 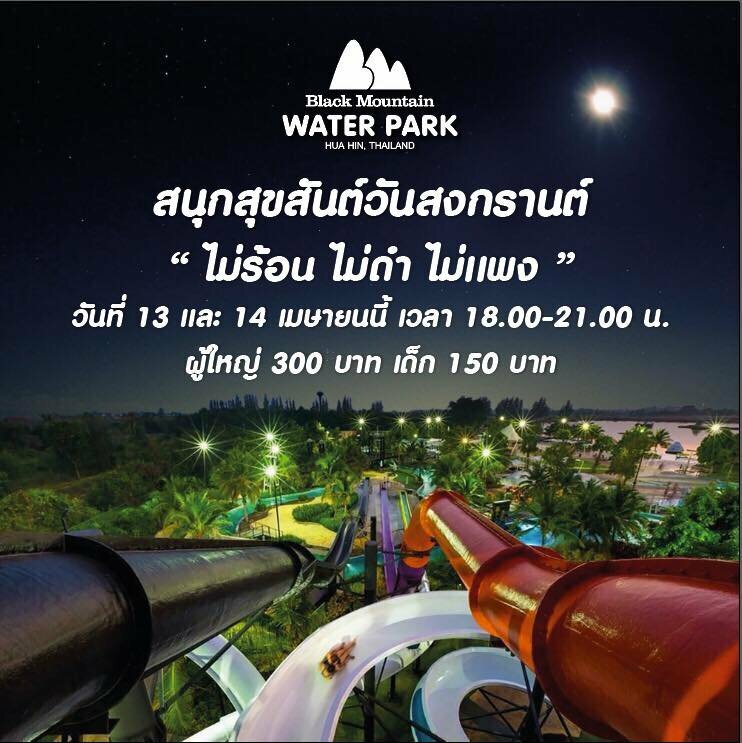 Let’s splash the fun, fun, hot at black mountain, hua hin. Open the evening of the 13-14th of April. Adults 300 kids 150 baht only! !